Origin PC changes graphics cards due to stability concerns. The world of high-end PC gaming is one of duality. While sports fans have many tribes to identify with, those in the hobbyist market must pick between one of two: Nvidia or AMD. It's unusual to see a retailer take sides in the fight as well, but that's exactly what's happened. Origin PC (who has nothing to do either EA or Wing Commander) has dumped AMD graphics cards from its lineup, citing various concerns about stability and performance. "Primarily the overall issues have been stability of the cards, overheating, performance, scaling and the amount of time to receive new drivers on both desktop and mobile GPUs," said Alvaro Masis, one of Origin's technical support managers. 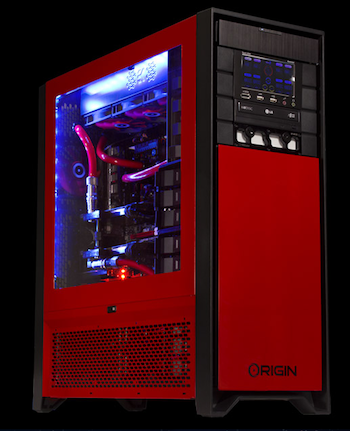 "Origin PC is dedicated to providing the best experience for our customers and right now that is with Nvidia GPUs. It's not about brand loyalty or marketing; our loyalty is 100 percent to our customers," Origin CEO Kevin Wasielewski told Polygon. Just in case you don't follow corporate battles like the World Series, this is just the latest in a long line of cat fights. Earlier this year, AMD won the contracts to manufacture the chips in both the Xbox One and Playstation 4, after years of diminishing market share. Nvidia responded to the news by saying that they didn't really want the console market anyway, as PCs would always be better (and have a higher margin).